New York, Boston, New Jersey Hair Transplant / Restoration Surgery - Is Technology Getting Better? Is Hair Transplant Technology Getting Better? There have been many great advances in hair restoration treatment, allowing our surgeons to give patients natural heads of hair that grow and look fantastic. When you visit our hair loss clinic, we'll be able to explain all of your options for advanced hair restoration treatment, allowing you to understand what might work best for you. With this in mind, we do receive many questions about the results of hair restoration surgery, with a particular focus on how modern techniques differ from the surgical hair restoration methods of the past. We want to look at the modern history of hair transplant surgery, which is just under 100 years old. Some of the first hair restorations and transplants were performed in Japan in the 1930s. In these early surgeries, small grafts were used in order to restore hair growth. This was only used for the eyebrows, however, rather than bald spots or bald patches on the head. Given how isolated the world was in the early 20th, the techniques of these Japanese surgeons would not be noted by those outside of Japan until much later. A New York-based dermatologist named Norman Orentreich is considered one if the major innovators of hair restoration techniques. In his experiments conducted during the 1950s, he found that hair from a donor graft could thrive in a bald area normally and healthily. Dr. Walter Unger would further advance the field by identifying the safe portions of the scalp from which viable follicle grafts can be taken. This was generally around the rear portion of the head and hairline, which is unlikely to be lost given the natural progression of male pattern baldness. 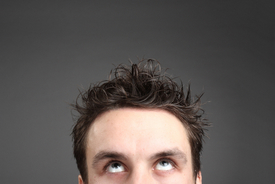 For many years, the use of hair plugs was common for hair restoration surgery. While the standard for care, the results left a lot to be desired at times. Much of this is due to the size of the grafts (up to 5 millimeters), which were quite noticeable and too evenly spaced to appear natural. This tended to give hair plug recipients the appearance of a child's doll. As the years progressed, hair transplantation turned to the use of micrografts. By isolating individual follicles and follicular units, hair restoration surgeons were able to create a better distributed hairline through evolving transplant techniques. The results were much more natural. Thanks to the use of follicular units, surgeons were able to better understand the nuanced distribution of grafts that can result in a more natural appearance. This meant varying the placement of the follicular units rather than using neat rows, and also considering how to position the units to make the hair appear more natural given its place in the hairline. As time continues to move forward, technology advances and our knowledge improves as well. The results of hair transplant surgery should continue to evolve, meaning even better results for patients in the future. If you would like to learn more about hair restoration and all of your options available for advanced treatment of balding, be sure to contact our hair loss clinics in New York City, Boston, Long Island, and New Jersey today. The entire team here looks forward to meeting you in person and helping you have a natural-looking head of hair.